Laurie Keller Presents: Potato Pants! 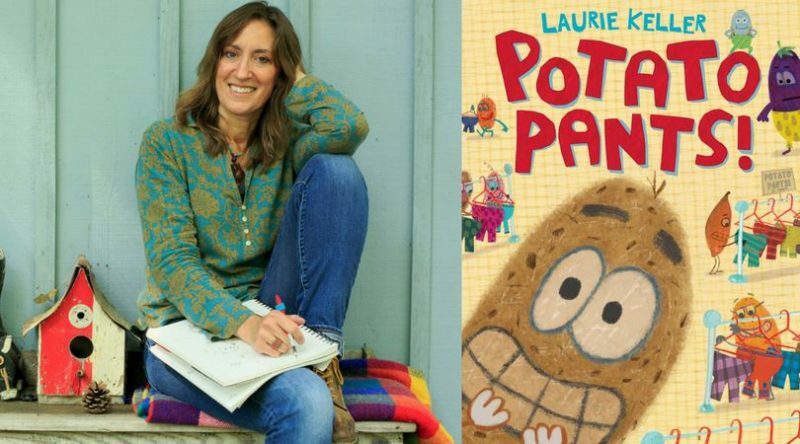 Come to a fun Saturday story time and meet much loved, award-winning author Laurie Keller as she introduces us to Potato! Potato is excited. He’s excited because today—for one day only—Lance Vance’s Fancy Pants store is selling POTATO PANTS! Potato rushes over early, and just as he’s about to walk in, who does he see inside? Mean, pushy eggplant who was rude to him the other day. Now potato is in a pickle. Can he stand up to eggplant in order to get his new stripey pants? Can these vegetable rivals make peace in the name of fashion? Find out in this one-of-a-kind story about forgiveness and making amends by the one-of-a-kind picture book creator Laurie Keller.